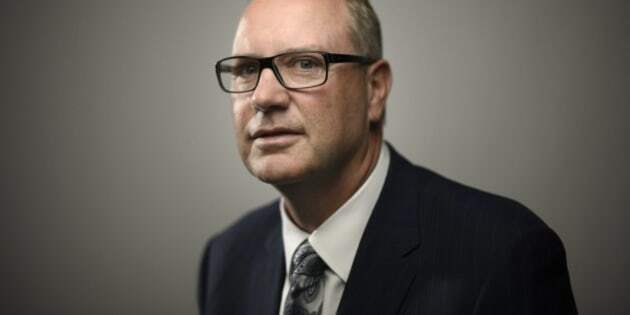 TORONTO - Foreign investment restrictions should be lifted for big telecom companies to allow the market to decide how many wireless competitors Canada can support, Bell CEO George Cope said Tuesday. "There's nothing to be afraid of. Bring the competition on," chief executive George Cope told the annual BMO media and telecom conference. Big telecoms such as Bell (TSX:BCE), Telus (TSX:T) and Rogers (TSX:RCI.B) are restricted under federal rules to be more than 33 per cent foreign owned, while small players with less than 10 per cent market share have no limits. The change in rules were a move by the federal government to increase competition in the sector. "The capital markets are efficient. They will determine whether or not Canada will have two, three, four or five competitors — period," Cope said. But Cope said he doesn't believe that parent company BCE. Inc. would ever be controlled by a foreign company. "This one is personal, as a Canadian. I'm not so sure we'll ever see Bell Canada owned foreignly. But the foreign markets can own stock, but I don't think it would be controlled." Bell, Telus and Rogers have repeatedly argued that foreign investment restrictions should be lifted for all of Canada's telecom companies to allow them more access to capital. Earlier this summer, U.S. telecom giant Verizon was reported to be interested in entering the Canadian market by buying new carriers Wind Mobile and Mobilicity. Verizon has since said it has no interest in Canada. Cope repeated that the rules for the next wireless auction of spectrum — radio waves needed to make cellphone networks operate — favour new entrants to the Canadian market. Bell, along with Telus and Rogers, opposed the entry of Verizon participating in the Canadian market as a new player and, under the rules, qualifying to bid on more spectrum. "We have the rules the government put in. They are very advantageous to a new entrant. So how they play out during the auction, we'll just have to see." Verizon passed on the Canadian market after announcing it was buying back a major stake in the company from U.K.-based Vodafone for $130 billion.